Find musicians. 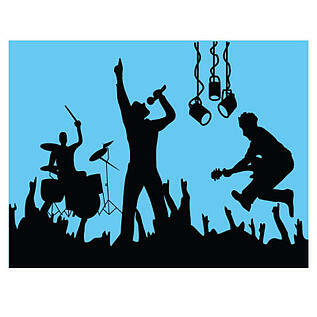 Typically, for a rock band, you will need at least one guitarist, one bassist, and a drummer, and the lead singer can either play an instrument or not. Pick Your Genre(s).If you can't all agree on one genre play a bit of both or mix together and create your own genre. Have everyone bring a mix cd of their favorite music. Consider making an Interband Contract or "band agreement". This contract will offer some protection for what a member can do with the name, payment, ownership of songs, equipment, etc if/when he/she leaves the band. 5. Find a practice space! Will it be in someones basement? garage? Will you keep all you equipment there? Get permission from whoever owns the property. 9. Start seaching for gigs. You may want to build a press kit. This is the music Industries standard for a resume. Venues will look at your EPK (electronic Press Kit) before deciding to book you or not. 10. Spread the word. Make flyers and take them to your school and paste them in places you are allowed to. see if you can get friends to help you with this so the work goes faster.